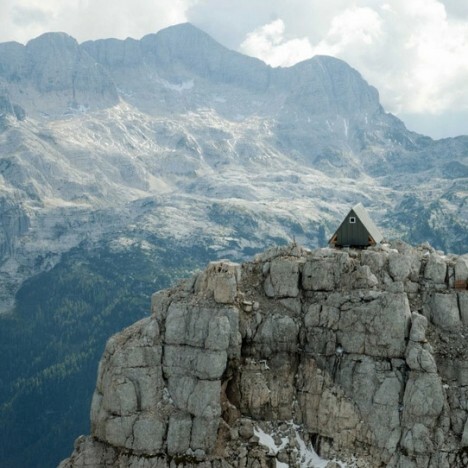 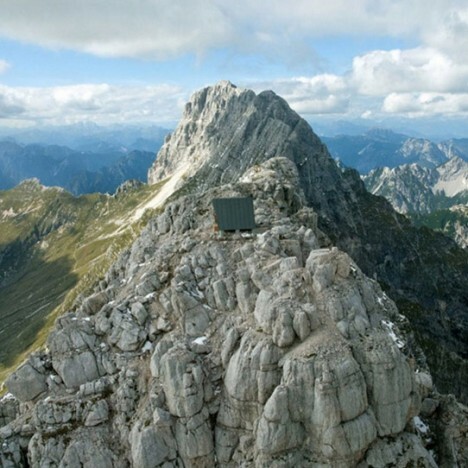 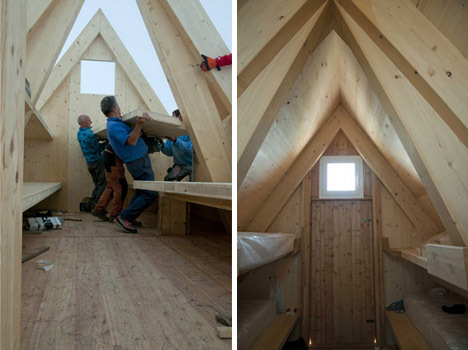 Created as a tribute to a mountain guide killed in an tragic avalanche, this tent-shaped shelter of wood and steel was helicoptered in pieces and assembled at an elevation of 2531 meters in Italy. 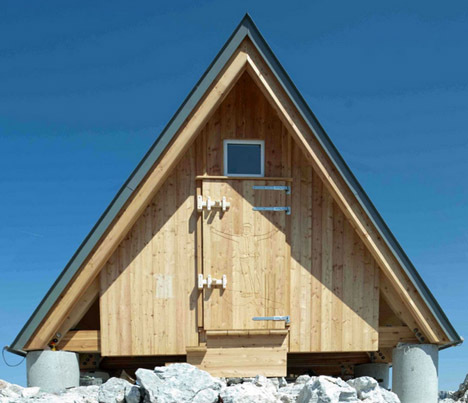 Commissioned by the family of the fallen and designed by Giovanni Pesamosca Architetto (images by Flavio Pesamosca), the building was made to honor Luca Vuerich, who perished in an avalanche while climbing a frozen waterfall. 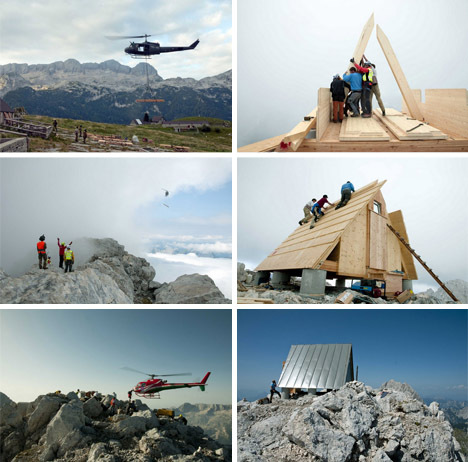 Thanks to the efforts of family, friends, colleagues and mountain rescue volunteers (twelve people in total), the shell was constructed on site in a single day from pre-marked parts deposited by helicopter. 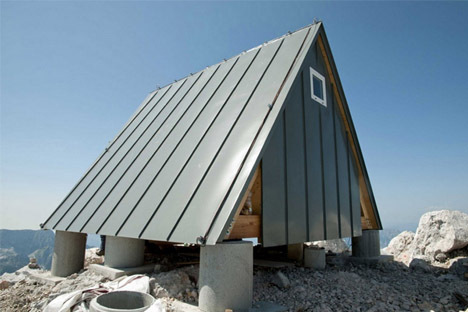 The triangular structure is shaped to shed snow but built capable of being covered entirely as well, with access on its south side where the sun melts accumulation the fastest. 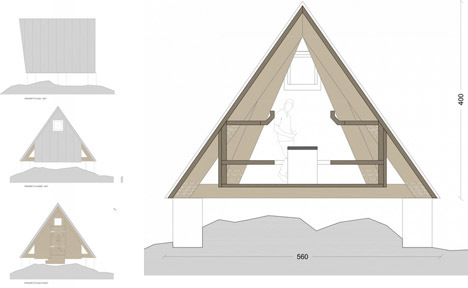 The wooden truss-reinforced frame is made to withstand high wind loads as well due to its exposed location, and set up on a series of concrete footings. 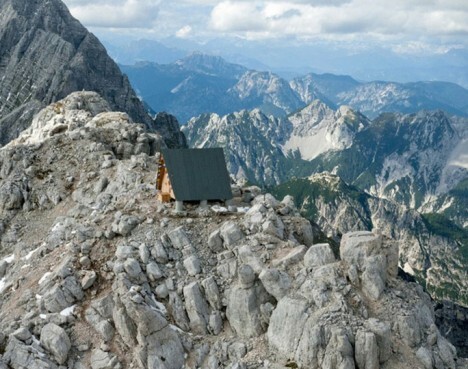 The interior sports nine beds for hikers and mountain climbers, which might look spartan to the outside observer but are strikingly luxurious when you consider their remote location. 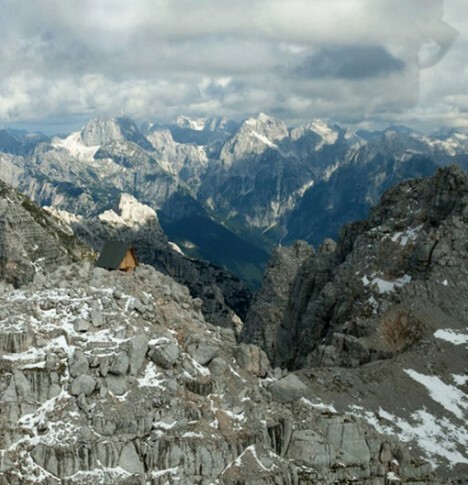 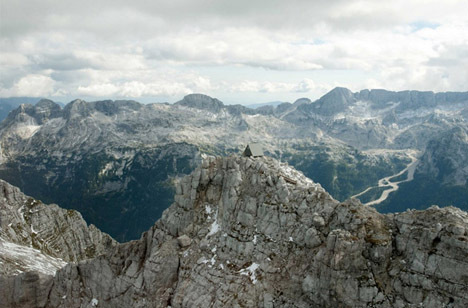 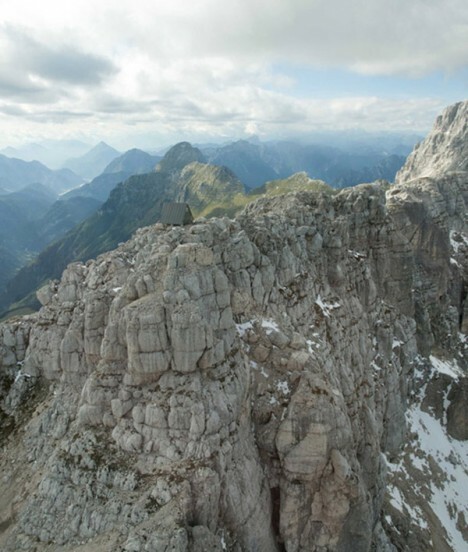 Open to anyone who can get there, the building is located in the Julian Alps, on the crest of the Foronon Buinz Mountain along the Ceria-Merlone trail.